The Internet is a breeding ground for a limitless array of cybercrimes, making a shift to cloud computing seem untenable. Deploying appropriate security measures within your virtual environment can help fill the gap between traditional on-premises protection and the native capabilities in your chosen cloud platform. The Barracuda Web Application Firewall virtual appliance for VMware vCloud Air is a scalable security solution that protects online applications from targeted and automated attacks, while providing superior protection against data loss. The solution is backed by security feeds from Barracuda Central, the threat analysis network that provides Real-time Threat Intelligence. Automatic updates provide defense against new threats as they appear. Barracuda's application security solution is affordable and easy to use. It combines web application security, access control, and optimization in a single package that is easy and intuitive to set up and administer, with no need to learn and manage complex technology. By integrating the proven application security and data loss prevention capabilities of Barracuda Web Application Firewall with VMware vCloud Air's native security features, administrators are in a superior position to deploy secure, reliable, and resilient cloud services while meeting any regulatory or compliance needs. Web application firewalls in the cloud put protection where it is most relevant-near to the resources being shared. 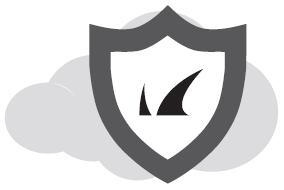 The Barracuda Web Application Firewall on vCloud protects your applications in the cloud. vCloud Air allows you to quickly extend your data center into the cloud, providing customers secure infrastructure, networking and storage. However, the responsibility of protecting web applications that are moved to the cloud still rests squarely on the customers. Web applications connect directly to databases, operating systems, and users. They are accessible to anyone with an Internet connection. This makes them an ideal target for attackers. According to the 2014 Verizon Data Breach Report, Web Application Attacks are the #1 attack vector today, overtaking Point of Sale (PoS) attacks from previous years. With wide use of third party code and developers focusing on delivery rather than security, all web applications are vulnerable. With the Barracuda Web Application Firewall now available on vCloud Air, you can easily secure this threat vector. Having secured thousands of production web applications against more than 11 billion attacks since 2008, the Barracuda Web Application Firewall is the ideal solution for easy-to-use and real-time application security. 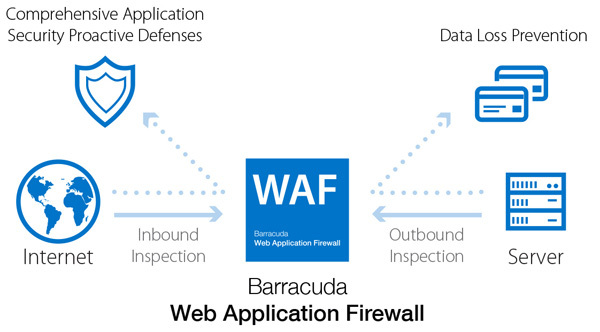 Deployed inline as an application proxy, the Barracuda Web Application Firewall inspects all inbound and outbound traffic to provide superior protection against all known and unknown (zero-day) web application attacks. It provides protection against the OWASP Top 10 attacks such as SQL Injection and Cross-Site Scripting, and ensures PCI Compliance for section 6.6. Automatic signature updates patch against the latest vulnerabilities without requiring changes on the servers. The Barracuda Web Application Firewall integrated in vCloud Air stands out from the competition with market-leading features like URL Encryption, Integrated AV, Instant SSL, Exception Profiling, Client Fingerprinting, CAPTCHA Integration, Active/active clustering, TOR and anonymous proxy detection, Multi Tenancy and FTP Security. It is ICSA certified and NSS Recommended. The customer's investment is protected with a unique Virtual License Portability program. A flat licensing model provides all the advanced features as well as a centralized management solution at a single attractive price point. 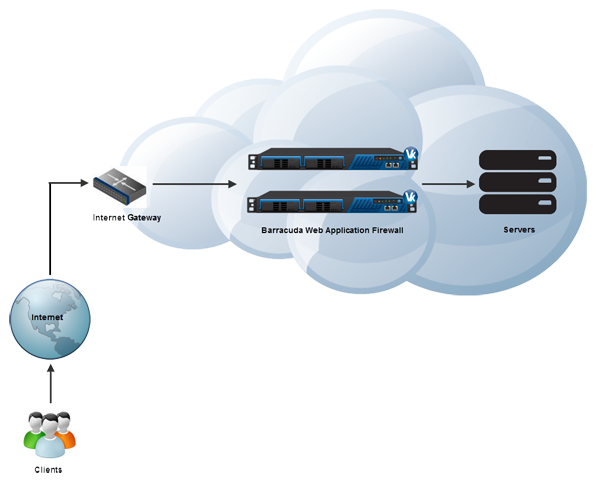 The Barracuda Web Application Firewall acts as a reverse proxy to the protected servers. It performs protocol layer checks for HTTP/S, and deep inspections on all the application layer constructs, such as URL, query string, parameters, headers, cookies and form fields for malicious inputs. It can secure the network and SSL stack of the protected servers and provide Perfect Forward Secrecy (PFS) for HTTPS communications. *To obtain the max capacity of 4 Gbps, 12 additional cores are required.